Did you know that 70% of the population of the United States is missing one or more teeth? In the past a missing tooth was generally replaced by grinding down the teeth on either side of the gap created by the missing tooth, and a bridge would be cemented to those teeth with a dummy tooth in between to close the open space. Unfortunately, one out of every five bridges fail after ten to fifteen years. Often the teeth under the bridge decay and need root canals, and one out of every ten root canals fail for one reason or another. This often leads to the loss of another tooth. Now, instead of replacing one tooth, two, then four, need to be replaced, requiring a partial denture. This eventually leads to a full denture, because the partial denture acts as a lever on the teeth it is attached to, which are doomed to be lost eventually. Ten percent of the population of the US has no teeth at all. That means that 30 million people are living without teeth and it all started with the loss and replacement of one tooth. This is truly a “Cascade of Destruction” and replacing that first lost tooth with an implant could have prevented it all. Dental implants are not subject to decay and preserve bone. It is a fact that following tooth loss, twenty-five percent of the bone width is lost within the first year. As a result of loosing the teeth the muscles around the face loosen, the face caves in and consequently looks much older. Also, due to the nutritional changes associated with tooth loss, people who have all of their teeth live about ten years longer than those with no teeth. 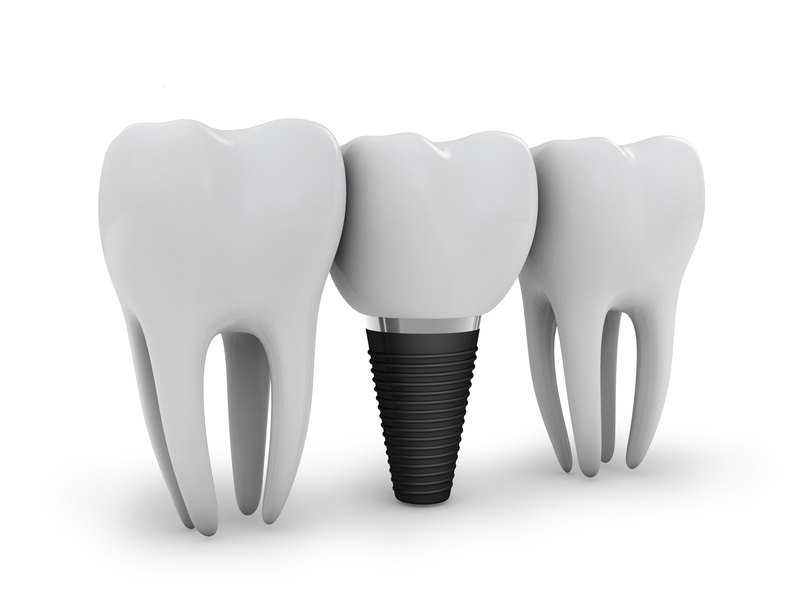 Now we know that it is best to replace a missing tooth with a dental implant. It is today’s method of choice for tooth replacement. If you are missing one or more teeth, please call Dr. Richard Grubb’s office at 410-939-5800 for an individualized consultation.